ArtGame Weekend was a competitive and creative 48 hours game jam model with an innovative lens on the "Art Game" concept. It has invited game developers to collaborate with artists from different fields including digital artists, makers, hackers and Fine Art artists on a game projects. The first two editions was based on mobile projects while the two ones were mostly focused on performative installations. 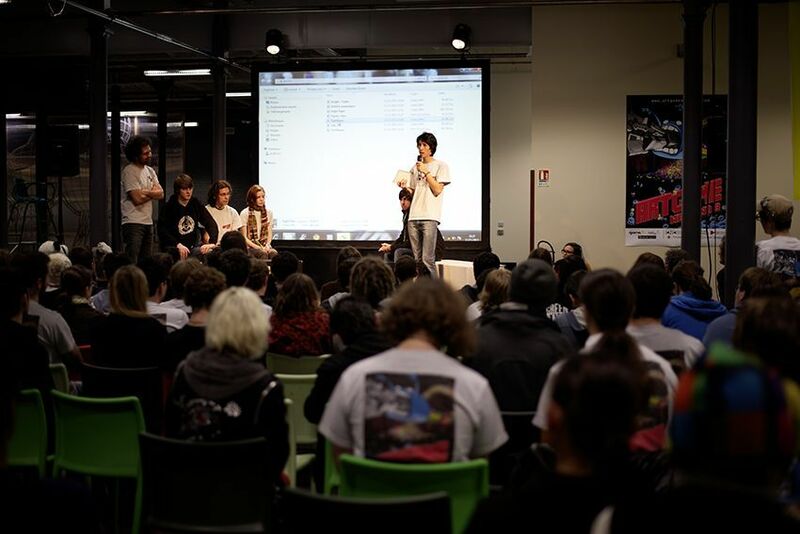 While the jam was only accessible to the participant it had always ended by a short exhibition time after the jury award where prototypes were exhibited to the public for few hours. Initially created in 2010 by different partners (Julien Dorra, nod-A, Silicon Sentier), the second edition was co-organised by One Life Remains in 2011 before being organised by Gamelab Agency and Game-In from 2012 to 2013. I was myself co-organiser of the whole event (except the first one in 2010), involving design, logistic, budget, communication and community animation. Images by the Simon Bachelier or Pascal-Marie Dengremont. All right reserved.